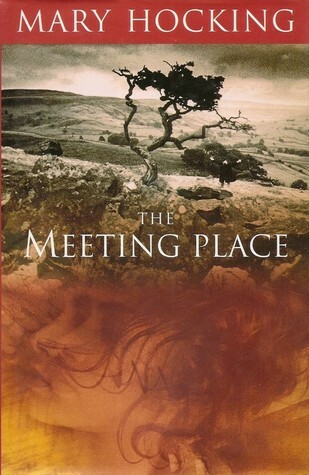 I’m very pleased that when I went to look for a book to read for Mary Hocking Reading Week I found ‘The Meeting Place’, her final novel, published in 1996. As I read I found much to love, much to admire, and a storyteller who had much to say. The story opens as Clarice Mitchell, a sixty-nine year-old, retired head-teacher, was driving across country. to an isolated farmhouse where she was to rehearse a production of Pericles. She was thinking of the past, because, by chance, she was visiting the family home of her former head-mistress; the woman who had inspired her and made her want to become a teacher too. Near her journey’s end, as the light faded, she was startled to see a woman in old -fashioned dress standing in open country, where there could surely be no reason for any woman to be. But the woman disappears as suddenly as she appeared. The next day, as two theatre companies rehearse in adjacent barns, Clarice sees another strange woman, in 15th century garb, pass through her rehearsal space. Others suggest that she was a member of the other theatre company, in her costume for their production of the crucible, but though Clarice nods in agreement she knows in her heart that she isn’t. And when she is troubled by dizzy spells she wonders if maybe the job she has taken on is too much for her. She thinks more and more of the past, of difficulties she faced as a head teacher, of how they affected her relationships with the men in her life, and of how, maybe, she had been restricted because she was a woman. She wonders about the women she saw, and their stories unfold alongside hers. One is set in the fifteen century, the other is set in the early years of the twentieth century, and though all three stories are distinctive they have similar themes, and they sit well together. I wouldn’t call this a ghost story or a time-slip story though. It’s more subtle than that, and it’s a much more grown-up story than those descriptions suggest. I’d call it a story set in a place where there is much that is unchanged and timeless, and where the sensitive may perceive echoes of the past. The smoothness and naturalness of Mary Hocking’s writing made it very easy to keep turning the pages. I’ve seen her compared with Elizabeth Taylor, and I can agree with that comparison, though I would say that Mary Hocking had a little more grit. I saw a wonderful depth of understanding in all of the sides of the story, and an instinctive grasp of character. Clarice’s character was particularly well done. She was capable, she was intelligent, she was compassionate, and I really don’t think I have read a better portrayal of a woman of her age and generation. My mother was a teacher of that same generation; she loved teaching and I can imagine them talking over the things that Clarice was remembering, because they were so very, very real. The only slight weakness of this book, for me, was that the story was told at a certain distance. Mary Hocking presents her characters rather than engaging with them, and gives her writing a degree of coolness. I like a little more warmth, but she does so any things so very well that I will always pick up any of her books that I find. The end of the story brought everything together, in a way that was sad but inevitable. I realised that it had been foreshadowed, but that I had been caught up with the story and the characters and those signs passed me by. ‘The Meeting Place’ is a wonderfully accomplished, intelligent novel; and I am sorry that it is out of print and that its author isn’t more widely recognised. This is a very big book and it holds: eight generations of Kings and Queens from 1120 to 1399; a period choc full of events, history and change. It says much for Dan Jones’ ability to marshal his facts and theories and his ability to spin a compelling (true) story that I flew threw the pages. I knew the names, I had read many of the stories; but much of what I knew came from historical fiction, and I wanted a book that would help me to put things in the right order and fill in the gaps. This was definitely the right book for the job. The narrative opens in the year 1120, with a drunken party aboard The White Ship. Amongst those present was William the Aetherling, grandson of William the Conqueror and the only legitimate son of Henry 1st. It had been intended that the ship would race from France to to England, but drunkenness had spread to the crew and the ship hit a rock and was wrecked. It was a catastrophe, there were few survivors, and William the Aetherling was not among them. Henry I named his daughter, Matilda, as his heir, and took care to marry her to a strong and strategically positioned consort, Geoffrey of Anjou. But when the King died many of England’s nobles were unwilling to accept a Queen Regnant, making it easy for Matilda’s cousin Stephan of Blois, one of the few survivors of The White Ship, to seize the crown while Matilda was overseas, tied to her husband’s lands, awaiting the birth of a child. That began a long, dark and difficult period of English history that would be known as The Anarchy; a civil war with the country divided between supporters of two claimants to the throne. That conflict was only ended when, after the death of his only son, Stephen agreed to name Matilda and Geoffrey’s son, Henry as his heir. 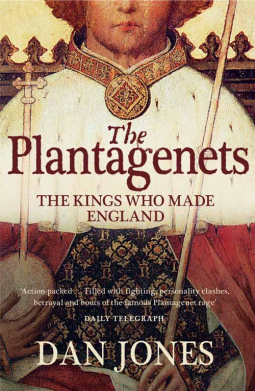 He, as Henry II, would be England’s first Plantagenet King; inheriting the name from his father, Geoffrey, on whom it had been bestowed because he habitually wore a spring of yellow broom blossom (planta genista). That story – from the sinking of the white ship to the accession of Henry II – is told ‘Age of Shipwreck’, the first of seven acts. It’s full of drama and colour, as are the six acts that follow. ‘Age of Empire’ charts Henry’s conquests, his troubled – and ultimately catastrophic – relationship with Thomas a Becket, and his struggles with his wife – Eleanor of Aquitaine – and their troublesome children who history would label the ‘Devil’s Brood’. And it continues with the story of Richard the Lionheart, who came to the throne in the age of the crusades and would spend his life defending and expanding the empire he inherited from his father. An empire that his youngest brother, King John, would lose. After that ‘Age of Opposition’ follows the conflicts that led to those loses, the conflicts with King John’s nobles and churchmen that led to history’s most famous failed peace treaty – ‘Magna Carta’ It continues into the story of John’s son, Henry III, a very different King who would also be opposed by his nobles, chief among them Simon de Monfort. The next inheritor of the throne – Edward I – changed things, casting himself as the inheritor of King Arthur; the story of his reign, his quest to steady his kingdom and rebuild an empire, and to establish the rights and obligations of Kings is told in the ‘Age of Arthur’. ‘Age of Violence’ tells of how all of that would be undone by his son – the notorious King Edward II – who seemingly failed to understand any of those obligations or any of the consequences of his actions, playing favourite with Piers Gaveston and Hugh Despenser, and setting into motion a chain of consequence that would send his wife, Queen Isabella, into the arms of rebel Roger Mortimer, and would end with them putting his son, the young Edward III on the throne in his place, as a puppet king. The story of how Edward III broke free, brought stability to England and re-established the country as a military power with victories on land and at sea at the start of what would become The Hundred Years War is told in ‘Age of Glory’. It tells of his sons, who included his heir Edward, The Black Prince, and John of Gaunt. The Black Prince’s early death signalled a change in England’s fortunes. The final act – ‘Age of Revolution’ charts that decline, the accession of the Black Prince’s son, Richard II, a boy King thrown into a difficult situation without any real understanding of his rights and responsibilities. That was disastrous, and his story would end when he was usurped by his cousin, Henry Bolingbroke. That’s where this story ends. Not with the last Plantagenet King, but with a significant shift. You might say that it was the end of the beginning or the beginning of the end for The Plantagenets. It was the right place to break the story; good though it was this book was long enough. There were so many stories, all well told, with enough colour and detail to make them live. I was left with some striking images, and their was more than enough to keep my intention through the few quieter period. The author stated that his intention was to track how the government and the role of monarchy changed over the years, and he did that very well indeed. I was fascinated to learn much more that I’d known before about Magna Carta and to learn about acts and treaties and settlements I’d known little or nothing about. That may sound dry but it really isn’t; it grows quite naturally out of the changes and conflicts of the human drama that was being told. But the human story was what I missed in this book. 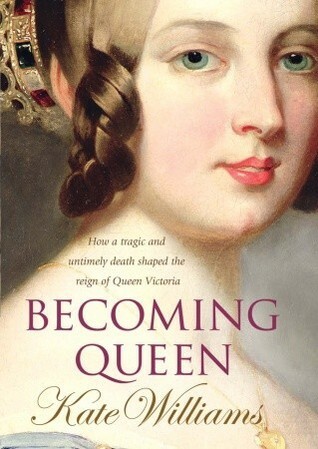 Even on a book this long you can’t have everything, but I wish there had been a little more room for many of England’s Queens and to understand a little more of what made England’s Kings the men that they were. I could see that the author had favourites, and that there were other he had little time for. That’s understandable, but I was disappointed that there were times when there was room for different interpretation of events that wasn’t mentioned. I accept that space was a factor, but a little space could – should – have been made to allow that there are shades of grey, not just black and white. That leave me a little worried about picking up the story in ‘The Hollow Crown’ – because their are definitely different views to be taken on the War of the Roses. But I will because there were so many more things about this book that I did appreciate. I took what I wanted from this book; I’ve filled gaps and I have my Kings in order; it’s a starting point not an end, and it has me enthused about reading more to fill out the human stories and build my understanding of the history. 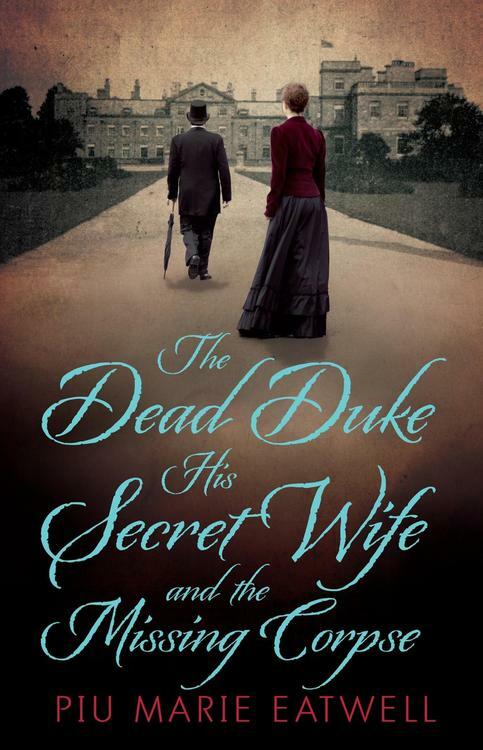 Piu Marie Eatwell has chosen an extraordinary title, and it suits her wonderfully written and researched telling of a true story that unfolded in late Victorian and early Edwardian England wonderfully well. It’s readable, it’s accessible, and its utterly gripping. In 1898 a widow named Anna Maria Druce applied for the exhumation of the grave of her late father-in-law, Thomas Charles Druce. Her claim was that he had faked his death 1864 death, because he had been the eccentric 5th Duke of Portland, who had chosen to live a different life under a different name. Under that name the Duke had worked as a furniture dealer, married, and raised a family. Eventually he decided to end his double life and return to the ducal seat, Welbeck Abbey in Worksop, Nottinghamshire until his death some fifteen years later. The Duke had never married a distant cousin inherited the title and everything that went with it. Anna Maria said that her son was the true heir to the Portland estate. It sounds ludicrous, but the truth can sometimes be stranger than fiction, and there was much that made Anna Maria’s assertion sound entirely plausible. Each man could be described as eccentric. The 5th Duke of Portland was reclusive, he rarely went out in daylight hours, and he had constructed a labyrinth of underground tunnels beneath his estate where he disappeared for extended periods. Witnesses testified that T C Druce looked exactly like the Duke, and that he had never spoken of his early life; it emerged that the tastes and patterns of behaviour of the two men were strikingly similar. They refused, and so a long and complex legal battle that would become a cause célèbre began. Piu Marie Eatwell brings that case to life. 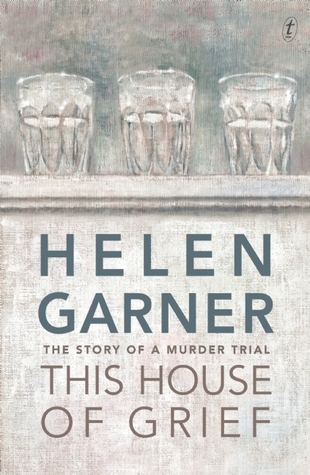 She is a wonderful guide to the times and to the places where her story will play out, making it easy to understand how contemporary observers would have viewed the case with reference to newspaper reports, to other cases they would have known, novels they might have read, and the legal framework and the world that they knew. She introduces everyone who had a part to play carefully, with their history, their character, their connection to the case; that made the human drama that played out fascinating, relatable, and so very engaging. You might think that you were reading the finest of Victorian sensation novels; such is the quality of the storytelling, the drama of the plot, and the sheer page-turning quality of the whole thing. The question at the centre of the case – whether T C Druce and the 5th Duke of Portland were two men or one – was beautifully balanced, and as the case twisted and turned, as new claimants and new evidence emerged I could never quite make up my mind. I knew that I could go away and look up the case, and I so wanted to know what would happen, but I resisted because I knew that this was too good a book to spoil. I also knew that the answer to that question would not be the end; because whatever that answer was there would be more questions. The resolution of the case comes before the end of the book, and it as that point the author moves smoothly from dramatic storyteller to interested researcher, offering answers to some of the unanswered questions and suggesting what might be answers to others. That was fascinating, the depth of her interest was evident, and I continued to think of everything I had read long after I put the book down. 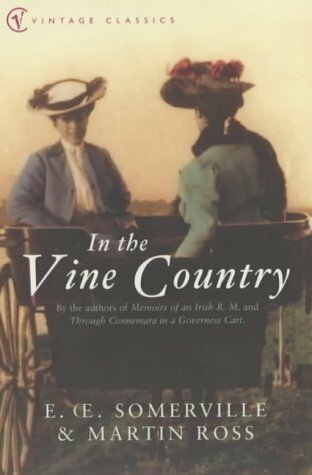 I have been to the south of France, for the grape harvest, with two Anglo-Irish Victorian lady writers, and I loved it. Œnone Somerville and her cousin “Martin Ross” (actually Violet Martin – of Ross House) wrote novels, short stories and travelogues together as “Somerville and Ross”. I remember an adaptation of ‘The Experiences of an Irish R. M.’ being very popular when I was a child, I’ve noted that Virago reissued ‘Through Connemara in a Duchess Cart’, I remember seeing ‘The Real Charlotte in some very good company on a list of forgotten classics, and I know that Lisa rates them very highly. But that’s about all I know. Except that they share a biographer with Margaret Kennedy, and that has to be another positive thing. I’ll find out more one day, and I’m sure there’s a great deal of interest to be learned, but for now I just want to enjoy their excellent company. There is much to be enjoyed here: accounts of travel by train and by boat; observations of people, places and so many things that the ladies see long the way; time spent at vineyards, where they saw the harvest and the treading of the grapes; visits to chateaux, where they were most impressed by the great barrels that lay maturing. Along the way they sketched, and they were very proud of their Kodak wherever they went. The sketches illustrate and illuminate the text; what happened to the photographs I don’t know. Well I know that some were lost when they forgot to remove the lens cap, and only realised when they believed it lost and went to put something else in its place to protect the delicate lens. There are lots of things like that; the kind of little things you would remember from a holiday. And this is a book that feels rather like hearing about somebody’s holiday. One of the lovely things is that the teller knows exactly how much to tell; enough to keep things interesting but not so much as to lose the attention of a listener without a particular interest in what is being said. That the tale of this adventure was so very well and so very engagingly told speaks volumes for Somerville and Ross’s careful observation and genuine interest. It can’t have been usual for two 19th century ladies to travel to the continent unescorted, but they managed things nicely, smoothing their path with acceptance and understanding, and with good humour laced with a lovely sense of the ironic. That reminds me to say the the writing style made me think of the Provincial Lady. It was smoother and calmer though; as she might of written had she had all the time in the world to make such a trip herself. It was a lovely trip, and I hope to be spending more time with my two new friends. 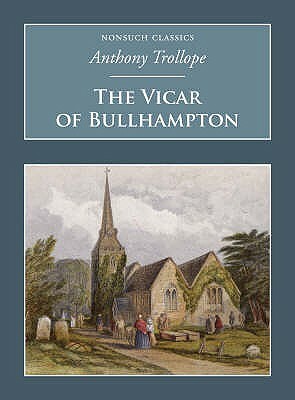 I think maybe it should be ‘Connemara in a Duchess Cart’ next; because I’m delighted that Reading Ireland Month.led to our introduction.